Thera Chief Incumbent of the Manelwatte Viharaya, International Advisor to H.E. The President of Sri Lanka on Religious and Cultural Affairs. The Manelwatte Viharaya stands on a sylvan and serene setting of lush greenery in 16 hectares of land within easy reach of the pulsating metropolis of Colombo. A strange quirk of destiny made me the chief incumbent of this temple and its ample land gifted to the Buddha Sasana by President J. R.Jayawardene and his wife Mrs. Elena Jayawardene for the express purpose of “providing facilities for the Maha Sangha inclusive of all Nikayas or sects to learn the Dhamma and live a disciplined life in keeping with the teachings of the Buddha." President Jayawardene the architect of the present constitution of Sri Lanka is undoubtedly a complex personality who dominated the politics of Sri Lanka during his life time and left his indelible print in history. He and his wife bequeathed this oasis of tranquility to the Welivita temple in Kandy which was the Aramaya of Sahgha Raja Asarana Sarana Saranankara thera who on 10th July 1753 restored the Higher Ordination at the Pushparama Temple now known as the Malwatte Maha Viharaya . It was the inauguration of the Shiyamopali Maha Nikaya. The quirk of destiny occurred when the Most Venerable Damma Kiiti thera of the Sangharaja Viharaya offered the Manelwatte temple in Kelanya to me. It was my destiny to make the Manelwatte temple a resurgent Buddhist phenomenon in the 21st century. It was my task to “provide facilities for the Maha Sangha inclusive of all Nikayas or sects to learn the Dhamma and live a disciplined life in keeping with the teachings of the Buddha” as stipulated in the deed of gift by President .J.R.Jayawrdena and his pious wife. It was my destiny to keep faith with the pioneering spirit of the Welivita Saranankarra Sagharaja tradition. It was my duty to live up to the expectations of Ven. Dahhmaakiti when he made me the chief incumbent of the Manelwatta temple. In the course of events, I met the Most Venerable Master Chin Kung who has now offered his great wisdom as chief sponsor and advisor to the Nãgãnanda International Buddhist University. Events in life are decided by the ebbs and flows of many conditions. A seed planted no matter how plentiful it promises to be will not grow without sunlight and water. Without those conditions the seed will remain a seed. The seed that was planted in my mind when I became the Chief Incumbent of Manelwatte Temple will grow when the conditions are conducive for its growth. 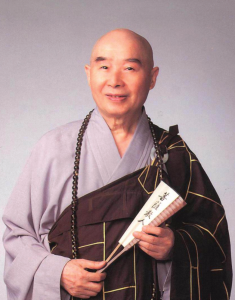 My encounter with the most venerable Master Chin Kung I believe has brought the sunlight and water for that seed to grow. It is time that we treat Buddhist Studies as a discipline that covers all facets of the doctrine, its rituals, art, literature, social cohesion and many more not confined to a specific geographical area. Its areas of study and research will include Chinese, Tibetan and Southeast Asian and South Asian Buddhism. Buddhist world view found in Early Buddhism and contained in the Palicanon is in absolute concord with the most rigorous intellectualism of contemporary society and the scientific ethos that it relies on. The University when established will uphold the highest academic standards while widely disseminating its discoveries in Mahayana, Theravada and Tibetan tantric traditions. The University will immerse itself in research of high quality. It will provide an environment conducive to learn, teach and research. It will always be open to national and international peer assessment of the quality and content of its programs and courses of study. It will always strive to retain its capacity to explore new fields of study and research. The ancient Buddhist University of Nalanda is the model I have dreamt of replicating in Sri Lanka. The ancient Nalanda University was not specifically confined to Buddhist studies alone. It also had health care, linguistics and astronomy. Today the list would also include economics, management and psychology. None of these disciplines are alien to the teachings of the Buddha. Just as Nalanda was dependant on the patronage of Hindu kings such as Gupthas and Budhist kings such as Palas the Naganada University will solicit endowments from the rising Asian giants such as China, India, Korea and Japan and also what can be obtained our own Sri Lanka. 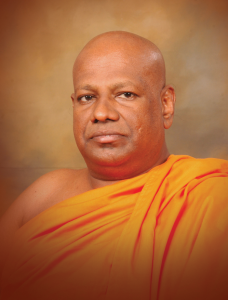 Venerable Grand Preceptor, Dr. Bodagama Chandima Nayaka Thero, Venerable Masters, Ladies and Gentlemen, Today is especially meaningful and the whole world is joining our jubilation: the laying of the foundation for the International Buddhist University of Nãgãnanda here in Sri Lanka. Launching the construction project today is especially significant since the university is expected to rejuvenate Buddhist education across the world. After falling into decline for centuries, Buddhist education is now on the edge of extinction. Ancient Chinese have told us that capable men of virtue are the key to prosperity; if the survival of a country or a civilization is in the hands of the virtuous, prosperity would be realized; if not, extinction will occur; Likewise, another old Chinese proverb says that “It is the wise men of virtue who can make the truth of the universe perceivable and hence encourage the world to follow accordingly; without these men, the truth cannot promulgate itself.” Therefore, it is our most important task to educate the talents of virtue in Buddhist circles for the sake of the world today. Highly educated graduates from this university are expected to promulgate Buddha Shakyamuni’s teachings globally by lecturing or by providing support, which serves as the fundamental goal of the university. From this we can say that establishing such a university is vital in maintaining Shakyamuni’s teachings and its influence is bound to be far reaching! It is very gratifying to know that Buddhist education is flourishing everywhere in Sri Lanka, both in government schools and in local communities. I believe that establishing a university of Buddhism in Sri Lanka the last pure land on earth is the result of the blessings of every Buddha in the universe who wants to bestow his benevolence and deliverance to the suffering. Let us ask for divine protection and support from Buddhas and Bodhisattvas, from gods in heaven and from benign deities in the world! Let us pray for the lasting unanimity of everyone in Sri Lanka in promulgating Buddhist education. May perfect success be with the university, such that they will be able to sustain and prosper Buddhist education on the earth forever! Whoever decides to donate or help to fulfill this project will accumulate immense virtuous merits; it is beyond imagination! It is my honor to participate in this great cause that is gratifying to every Buddha and is commendable to both celestials and humans. I humbly hope that everyone can understand that such a rare opportunity might occur only once in the enormous time frame of thousands of eons; let us make a joint effort to realize this great cause. Be it a donation or volunteer work; let us give whatever we can afford for this great cause to attain perfect wisdom and merit. I sincerely wish that the effort today will result in the renaissance of Buddhist education, thus people’s minds can be purified and a world of peace and harmony will finally come true! Thank you!